Siemens Financial Services announced yesterday that it will offer an “outcome-based” finance model for purchases of Siemens’ own-branded Siestorage energy storage systems, which are available to electricity users with on-site electricity demand profiles anywhere between 1MW and 100MW. Instead of buying a lithium-ion battery-based Siestorage unit outright, customers will be expected to pay for the whole system based on battery output. Head of sales in energy finance for Siemens Financial Services, Ian Tyrer, said that customers would be paying for “what the technology delivers rather than the technology itself”. Tyrer said that the offering of a “pay-for-outcome” financial model in itself was a growing trend across other divisions of Siemens’ business. A Siemens spokeswoman told sister title Energy-Storage.News that the outcome-based financing model has been launched only in the UK at present. The value proposition for C&I customers is the reduction of their electricity bills. With C&I electricity users in the US, UK and many other territories, their electricity costs are calculated to charge them a premium for peak electricity use, although the models for billing them these amounts vary from market to market. Siestorage lets users arbitrage their electricity purchases and defer them to non-peak times, saving them not just power costs but network costs as well. Energy storage systems allow businesses to reduce amounts of energy drawn from the grid without interrupting their business activities, industrial processes and so on. Adding energy storage can also add resiliency and stability to power supply, reducing exposure to outages, other unscheduled interruptions and changes in voltage. Siemens said that to date, while customers saw the benefit of energy storage, “few were willing or able to commit the necessary capital to access the technology”. “For the majority of companies, electricity is an unavoidable cost, however, these costs can be significantly managed and reduced through careful control and innovative business ideas,” Siemens Energy Management head of energy storage Bridgit Hartland-Johnson said. 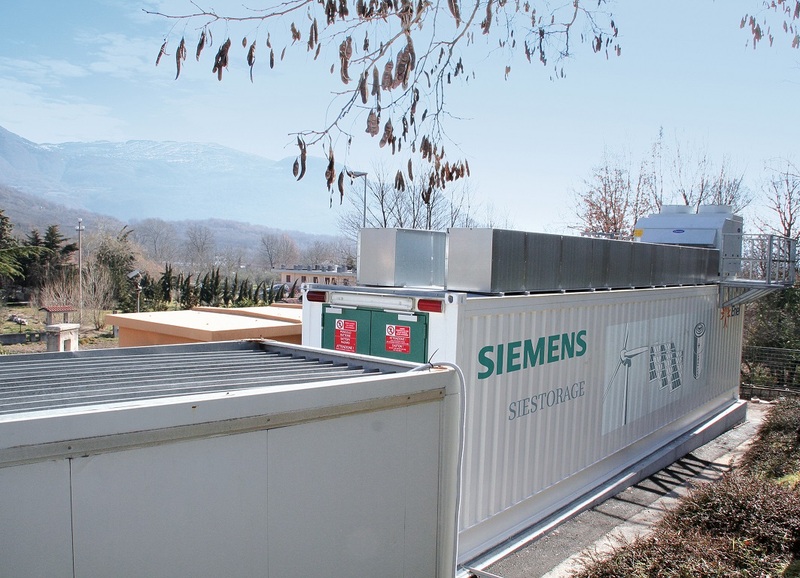 In addition to producing and selling Siestorage, Siemens has been active in several areas of energy storage, the most prominent activity being the creation of Fluence in July, a joint venture (JV) to develop energy storage projects on a large scale with AES Corporation. The company also has a collaboration agreement in place with LG Chem for component and battery supply, in place since 2014. Elsewhere, Siemens has delivered at least two grid-balancing batteries for German utilities, collaborated with zinc-air battery energy storage maker EOS and is conducting a renewables-plus-storage smart grid pilot in Rotterdam.